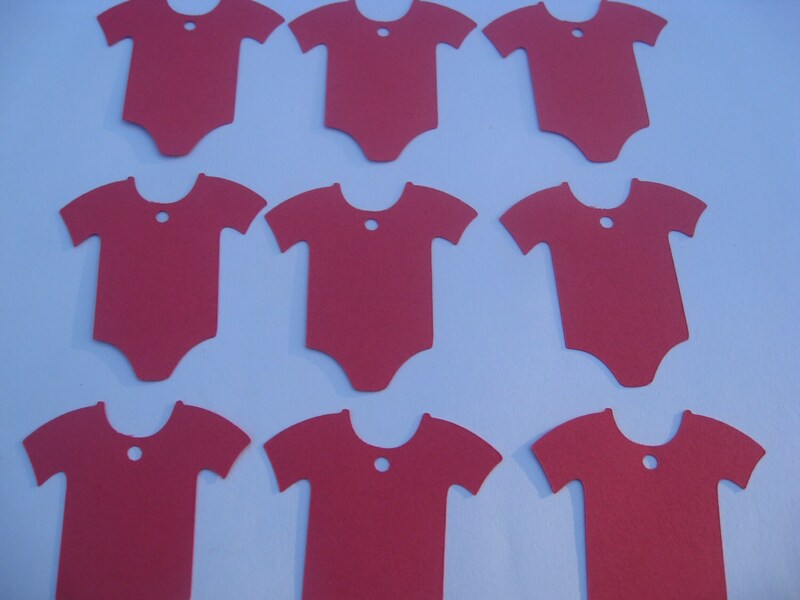 40 Onesie Tags. 3.5 inch. CHOOSE YOUR COLORS. Custom Orders Welcome. Showers, Gifts. 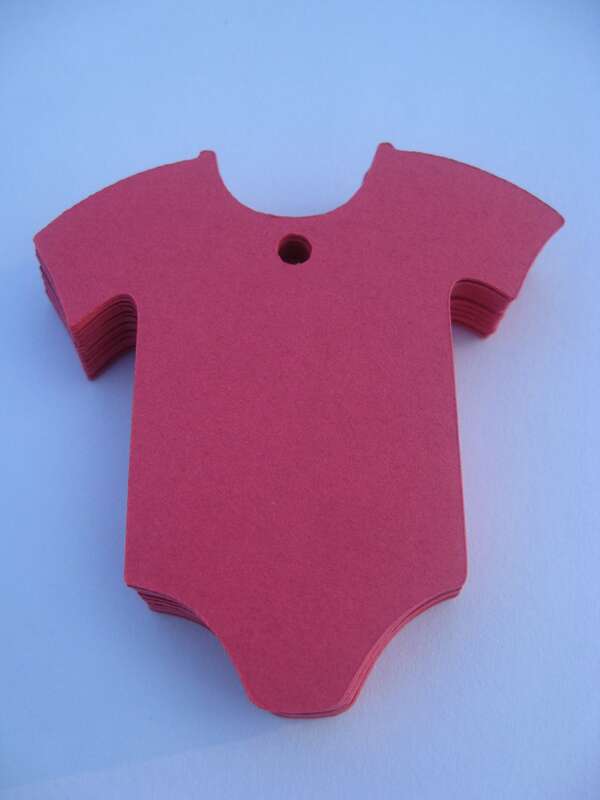 These ONESIE tags can be made from any colors of cardstock you would like! 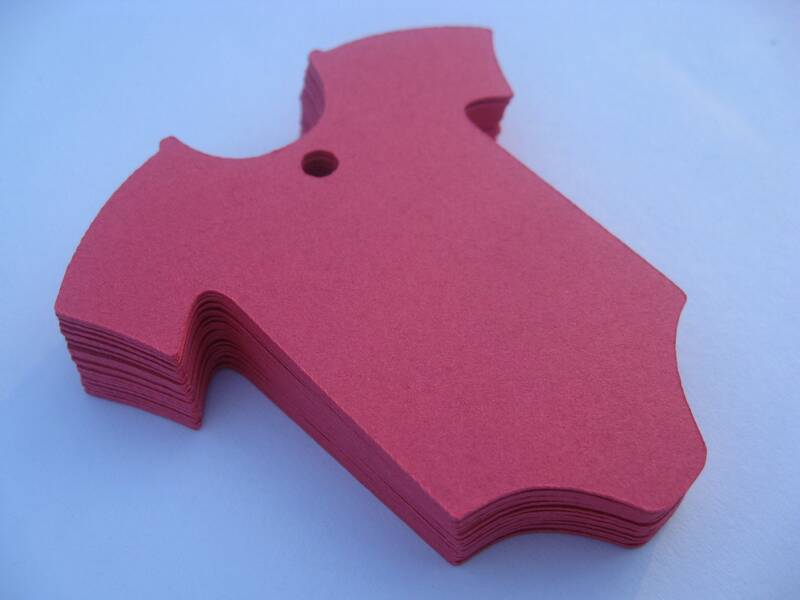 This listing is for 40 tags, each tag measuring 3.5" tall. 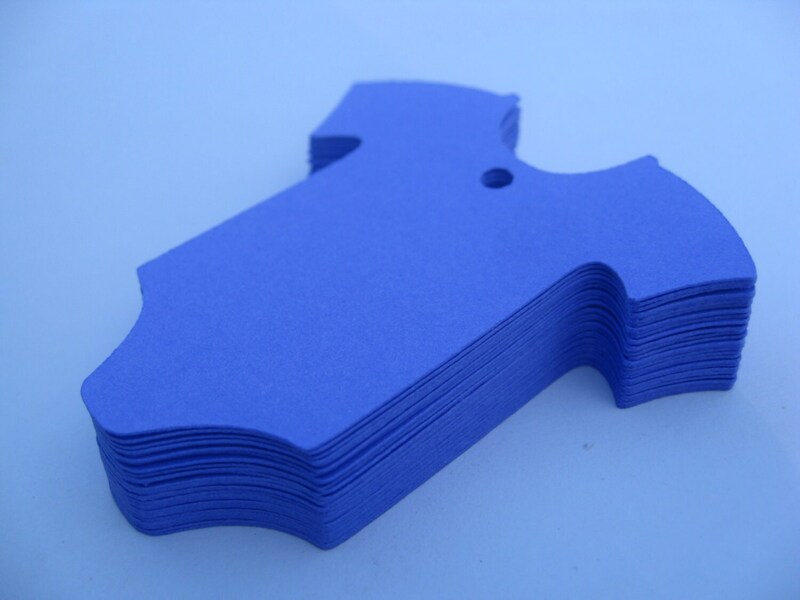 These are great for gifts, name tags, labels, thank you notes, cupcake toppers, or anything else you would like to use them for! *Please leave a note at checkout with the colors you want. 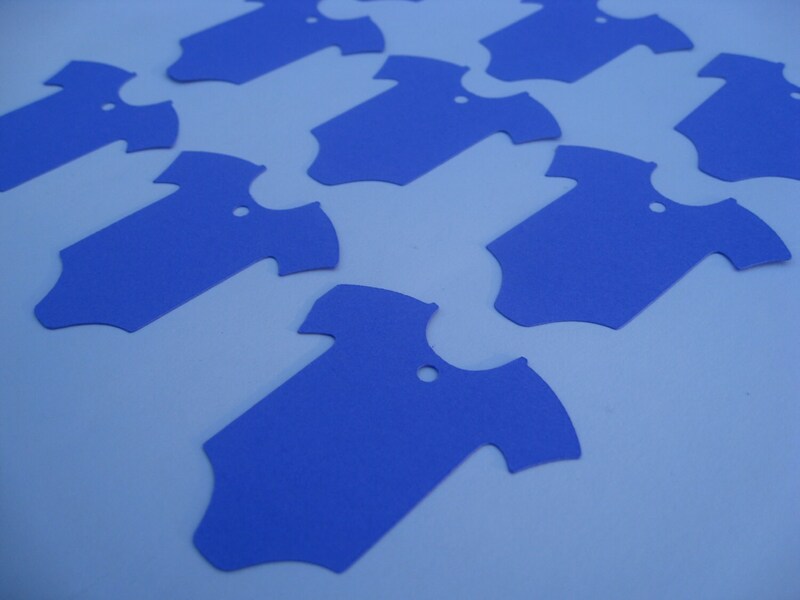 I also have tags in almost any shape. If you are looking for something, just ask!